Ball Canning Supplies To Take Your Canning Process From Good To Great! 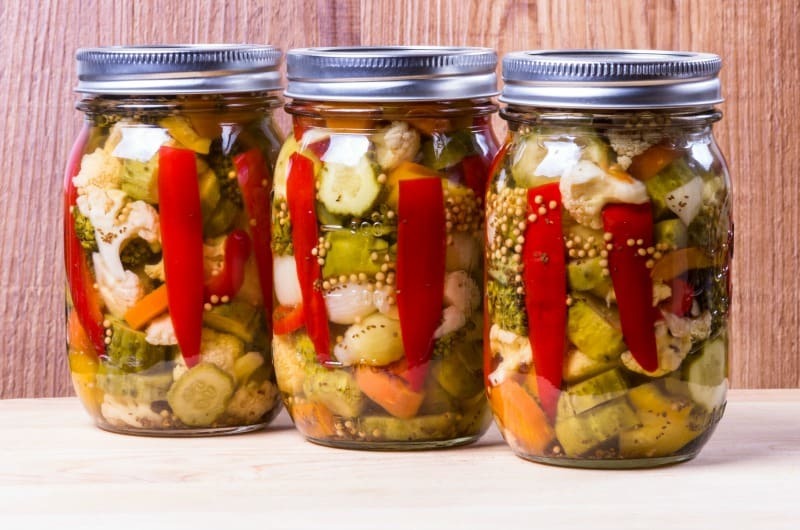 Canning food is an art form that many people use nowadays to save and preserve all the fresh garden fruits and vegetables that they have growing in abundance during the spring, summer and fall months. To be successful in your canning efforts, it’s imperative to make certain that you are using the best Ball canning supplies to make your canning journey an absolute breeze! 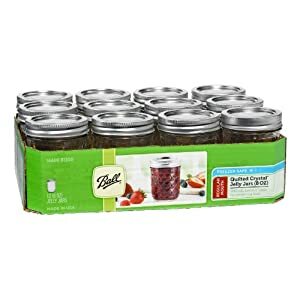 Why would you waste time, effort, and energy using less than stellar canning products when the Ball company makes some amazing products that can take your canning game to a whole other level? 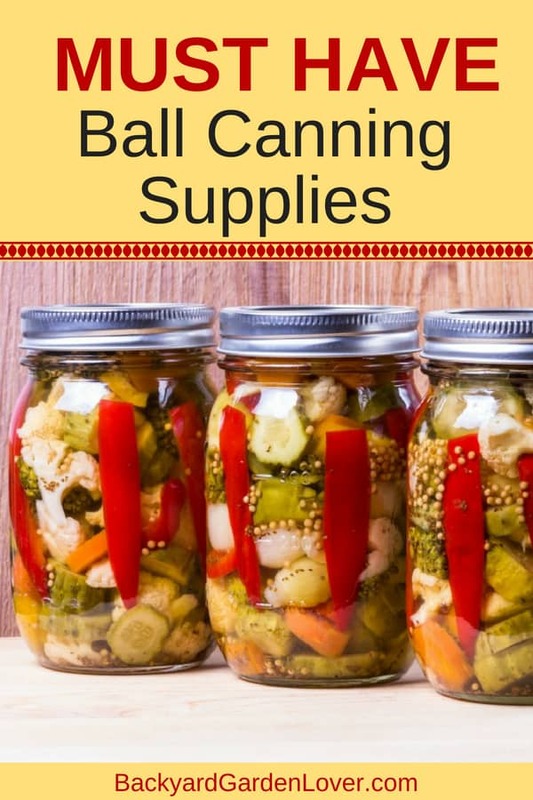 Why Should You Buy Ball Canning Supplies? 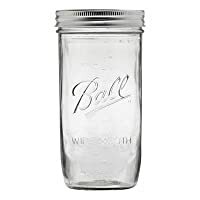 Ball canning supplies company has been creating top-notch products for many, many years. Gardeners all over the world trust the name, the brand, and the reliability that each and every product that they create and produce are going to deliver incredible results. 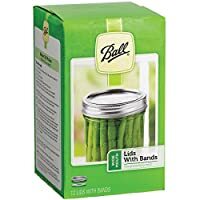 Why take a chance buying something else when Ball has proven time and time again that they are the leaders in the gardening and canning game? You might also need the Ball Complete Book of Home Preserving: it’s got over 400 delicious recipes. 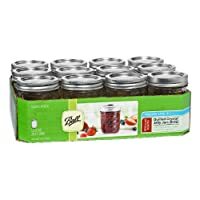 Ball Mason 8oz Quilted Jelly Jars with Lids and Bands, Set of 12 There is a misconception by people that canning requires giant jars only. Not true! With these Mason 8 oz Jelly Jars, you can smaller portions like jam and jelly with ease! That way, you don’t have to worry about making a large batch of a flavor that you may be unsure of. 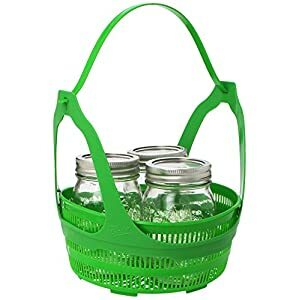 They also make great gifts and are perfect for your college student who wants to open a jar and eat in on one or two sittings. 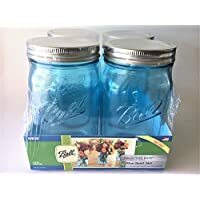 Made in the US, this set comes with 12 quilted crystal glass jars, 12 BPA free lids, and 12 bands. 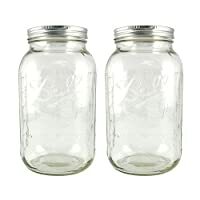 Customer reviews rave about the leak-proof quality and durable size of these Mason jars. 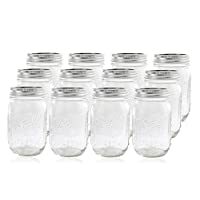 If you are looking for canning jars for smaller serving sizes, these may be the perfect fit! In order to can successfully, having the proper fitting mouth lids and bands is key! 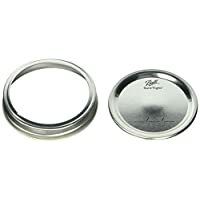 Regardless of which type of jar you use, you’ll need well fitting and appropriate lids and bands. Every Ball lid and band comes equipped with the ability to seal in the freshness of the food. It’s been said that you can use them over and over for years without having to buy replacements. But I’d like to caution you. Trying to save on lids might ruin an entire batch of fruit preserves or canned veggies. You can always save on jars, reusing them every year. Make sure to check for chips and cracks before you reuse an older jar. And bands don’t really need to be replaced, unless you somehow bent yours or the vinegar from your pickles got on them and they are now rusty. 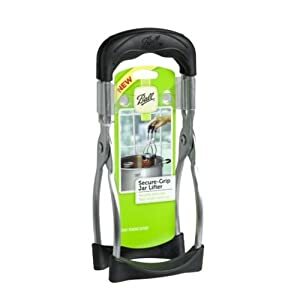 Secure-Grip Ball Jar Lifter (by Jarden Home Brands) Canning can produce some extremely hot temperatures and handling those jars out of the pressure cooker can be a bit tricky. With the use of this jar lifter, you won’t have to worry about those steam or water burns happening ever again! Hands and fingers all over the world are in love with this grip jar lifter! (customers, too!) The top reason that it’s loved by so many is that it creates a much-needed safety aspect that is often overlooked in the canning process. 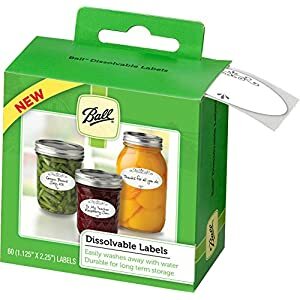 Ball Dissolvable Labels, Set of 60 How many times have you canned something, and then later down the road have no idea what’s waiting for you in that jar? Trust me, you aren’t alone. This used to happen to me a lot before I started using labels. Labels are also helpful to know the age of your canned goods. Customers all seem to agree on the fact that these labels are of a nice, easy to use and read size and are efficient and well-made for their purpose. 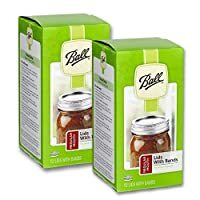 Ball Home Canning Discovery Kit (by Jarden Home Brands) Starting out on your canning journey but don’t know exactly what you need? This Ball home canning discovery kit can be the beginning of a great adventure in canning ;). It’s an inexpensive way to learn how to can without having to invest a bunch of money. 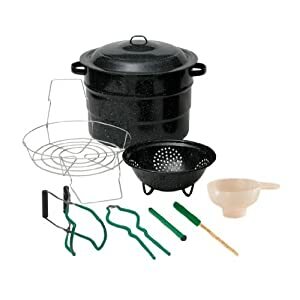 Reviews are pouring in over this discovery kit and the consensus seems to point to the fact that it’s easy to use to learn to can, and the basket makes it a simple way to pull out the jars without the fear and worry of getting burned! Granite Ware Enamel-on-Steel Canning Kit, 9-Piece From start to finish, this canning kit has you covered. Literally all you have to worry about if finding the canning jars and the food that you want to can, and you are set and ready to go! Customers agree that this is perfect for any level of canner and it brings great peace of mind to know that your canned goods will turn out perfectly each and every time! Don’t believe me? Read the reviews for yourself! You might also want to look at some pressure canners, if you plan on canning low acidity foods, like vegetables meats and fish. 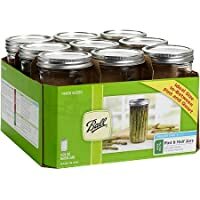 All these Ball canning supplies are perfect to get your canning game started off on the right foot! Whether you are new or experienced in the canning world, you can’t go wrong by using any of these canning products! Don’t miss out on them and wait another year before purchasing. If you order now, you could be using them to can all those fruits and veggies from your garden in no time!